Phosphates are the naturally occuring forms of the element phosphorous. They're essential nutrients found in many minerals, and are commonly mined for use in fertilizers. They're also an ingredient in detergents—a use that has declined significanty since the 1970s—and in water treatment to prevent corrosion of metal piping. Phosphates can arrive in water naturally, or through agricultural runoff and municipal wastewater. 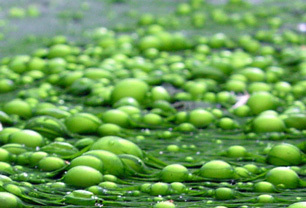 Phosphates are a leading cause of eutrophication, an over-abundance of nutrients in environments where those nutrients are not typically present. This feeds the growth of small organisms like aglae and phytoplankton, disrupting the natural ecosystem. Increases in algal blooms can deplete the oxygen levels in water, lowering the natural populations of fish and other organisms. Phosphate use in detergents has undergone several city and state-level bans since the late 1960s, when concerns were raised about the high levels being detected in municipal wastewater. In 2010, seventeen U.S. states enacted further bans on the use of phosphates in dishwashing detergents, causing most detergent manufacturers to eliminate what was was left from their products altogether. According to the NALCO Water Handbook, phosphate can be reduced significantly with “alum, sodium aluminate or ferric chloride, with a formation of insoluble aluminum phosphate and iron phosphate.” Or at a pH of 10 or more, it can be precipitated with lime to hydroxyapatite, then filtered.